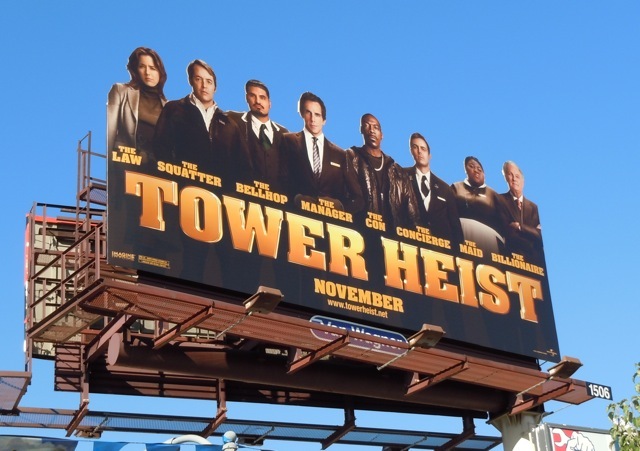 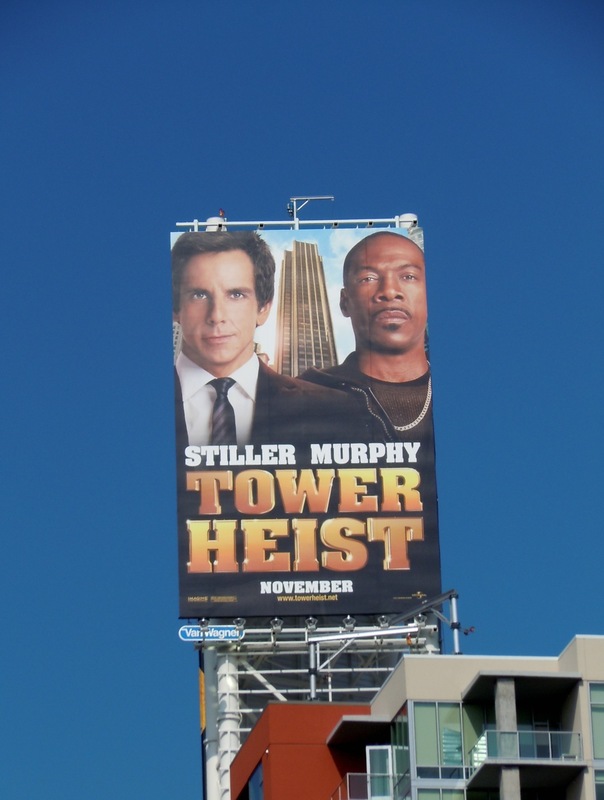 Tower Heist is being sold as a Ben Stiller and Eddie Murphy comedy, so it's nice to see those headline stars sharing these billboards with the rest of the cast. 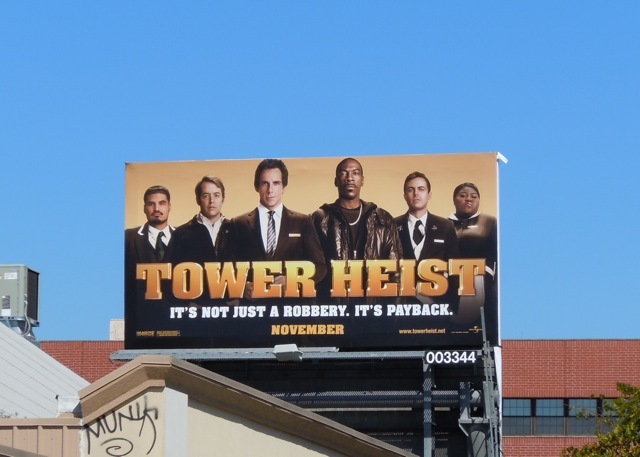 Tower Heist is a crime comedy and a bit of the sign of the times, as it follows the exploits of a group of New York high rise employees as they plot to steal $20 million from a Wall Street businessman's penthouse apartment after losing their pensions in his fraudulent scheme. 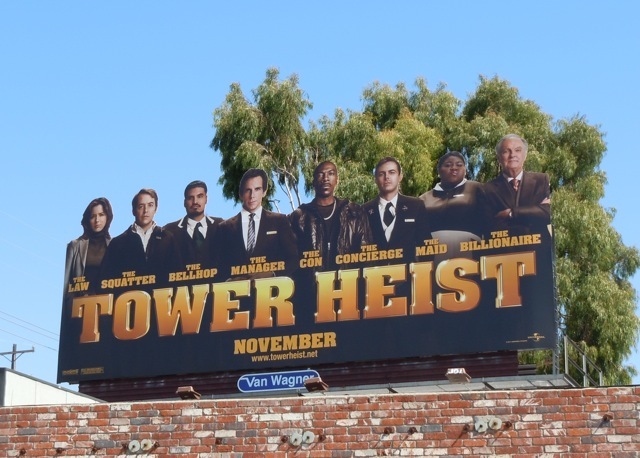 Talk about the economy influencing filmmaking, let's hope this movie isn't a waste of money. 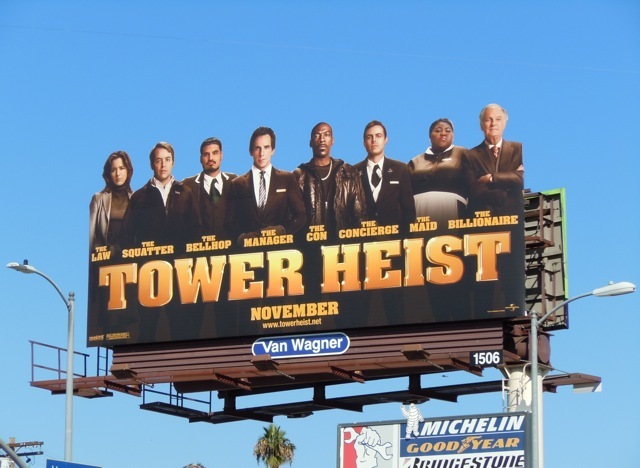 Daily Billboard really likes these special extension cut-outs of the movie's cast which really help it to stand out, plus the spin on the typical heist robbery terminology is fun, instead of the 'Safe-cracker', 'Explosives Expert' and 'The Getaway Driver', we get 'The Maid', 'The Concierge' and even 'The Squatter'. 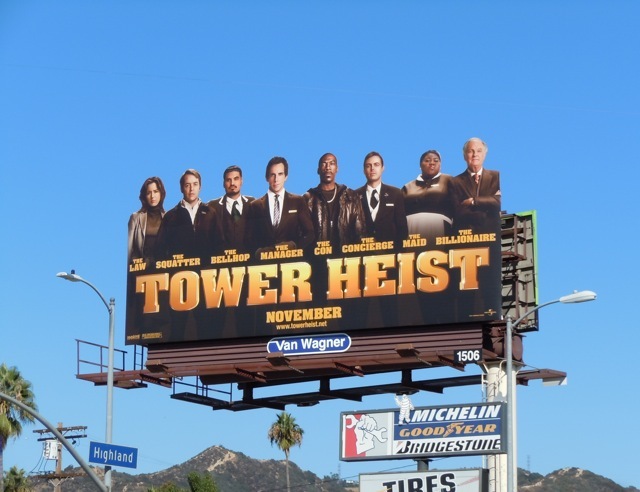 The small format billboard was first spied along Santa Monica Boulevard at Beverly Glen Boulevard on October 8, whilst the special extension versions followed along L.A.'s Sunset Boulevard, 3rd Street and Fountain Avenue around October 11, 2011. 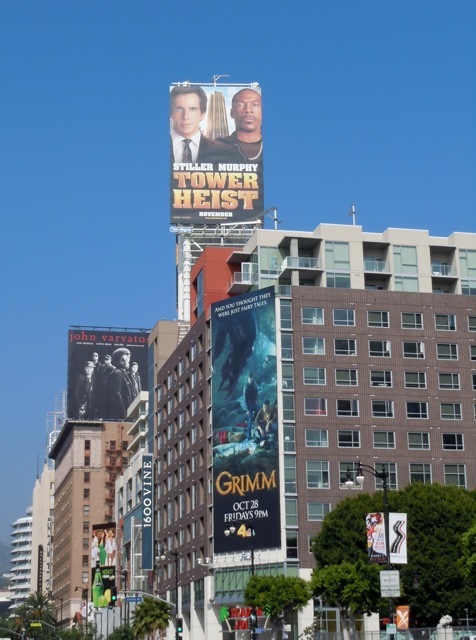 It's also appropriate that this Ben Stiller and Eddie Murphy creative along Vine Street in Hollywood is right at the top of the condo complex, just like the tip of the tower.